Expedition Carbon Monoxide Analyzer with Alarm. Compact and fits in your hand. The Expediton CO analyzer reads in parts per million. This truly is a very small amount of CO. 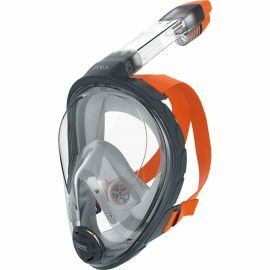 The alarm will sound when the level of CO reached 10 PPM (+/- 1ppm). Most sensors last 3.5 years to 4… we have seen up to 5 years on the sensors. In comparison, you would have to replace two oxygen sensors in an oxygen analyzer during this same time. 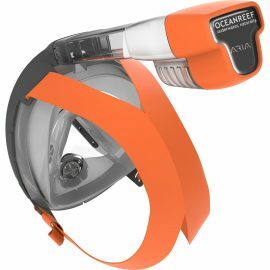 So the cost of the CO sensor is less over the same time. The electrolyte in the sensor tends to dry up after 3.5 years. Most sensors are not used up by the actual sampling of CO. The sensors only give off milivolts according to the amount of CO it reads. So the less CO, the longer the life of the sensor. 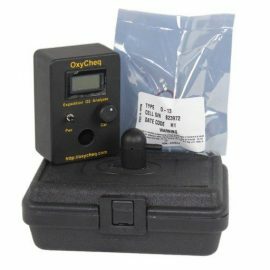 The OxyCheq Expediton CO analyzer ships in its own case with room for supplied nozzle and room for optional accessories such as a flow restrictor. Please note that all galvanic sensor are suseptable to humidity, temperature and pressure. 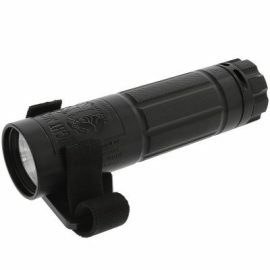 We recommend a flow restrictor for increased accuracy. 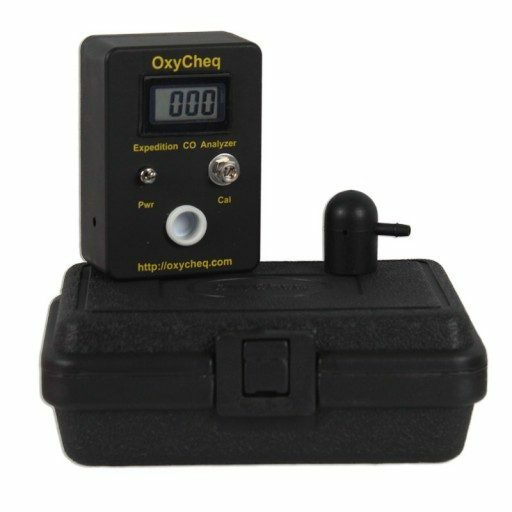 The OxyCheq Expedition CO Analyzer is made in the USA, serviced and calibrated in the USA. 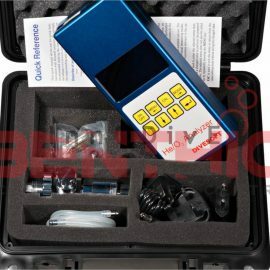 One year warranty on analyzer and sensor. Does not include regulator or calibration gas. Carbon monoxide (CO) is an odorless, colorless gas that interferes with the delivery of oxygen in the blood to the rest of the body. It is produced by the incomplete combustion of fuels. Carbon monoxide is produced as a result of incomplete burning of carbon-containing fuels including coal, wood, charcoal, natural gas, and fuel oil. It can be emitted by combustion sources such as un-vented kerosene and gas space heaters, furnaces, wood stoves, gas stoves, fireplaces and water heaters, automobile exhaust from attached garages, parking areas, and tobacco smoke. 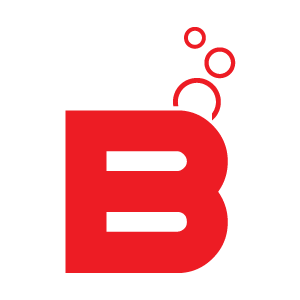 Problems can arise as a result of improper installation, maintenance, or inadequate ventilation and filtration on or around compressors used for filling SCUBA tanks. Carbon monoxide interferes with the distribution of oxygen in the blood to the rest of the body. 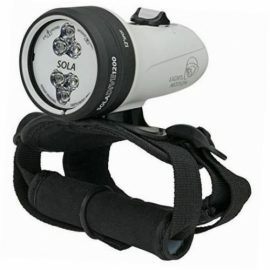 Depending on the amount inhaled, this gas can impede coordination, worsen cardiovascular conditions, and produce fatigue, headache, weakness, confusion, disorientation, nausea, and dizziness. Even low levels can cause death. 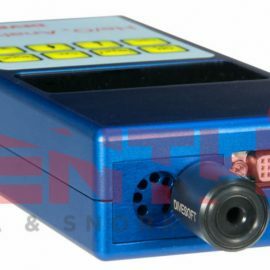 A great reliable analyzer with low cost operation over long term. 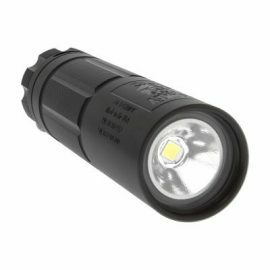 With a rotary magnetic activation switch the Light Monkey HANDY LIGHT offers a rugged yet lightweight expedition grade handheld light.